Home>CPAP Masks >Mask Parts>Cushions & Pillows > ResMed Ultra Mirage™ II nasal mask frame assembly (No Cushion, No Headgear). 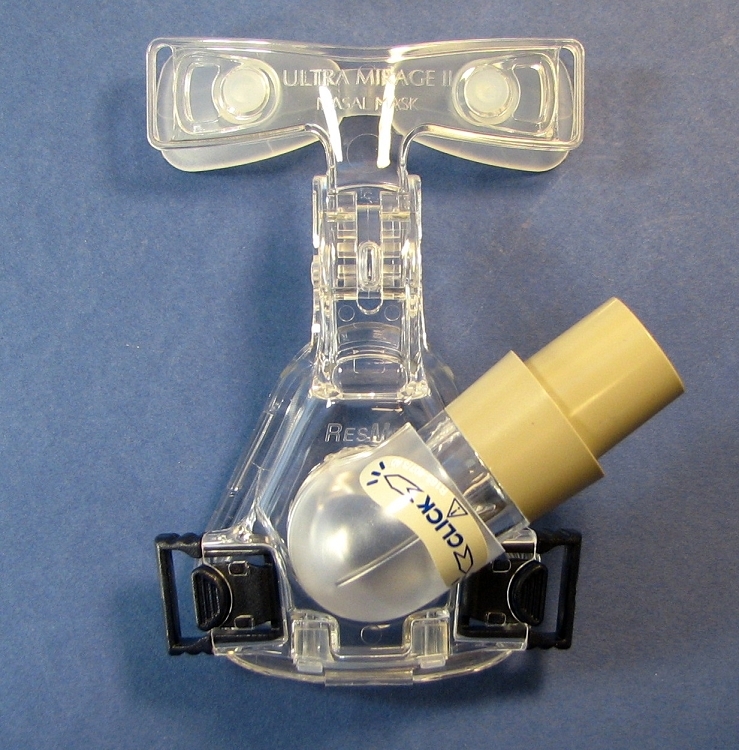 ResMed Ultra Mirage™ II nasal mask frame assembly (No Cushion, No Headgear). Replacement frame assembly for the ResMed Ultra Mirage™ II nasal cpap mask. *** Note - this frame includes the forehead support pad, but it does not include the cushion that seals against your face or the blue headgear straps.